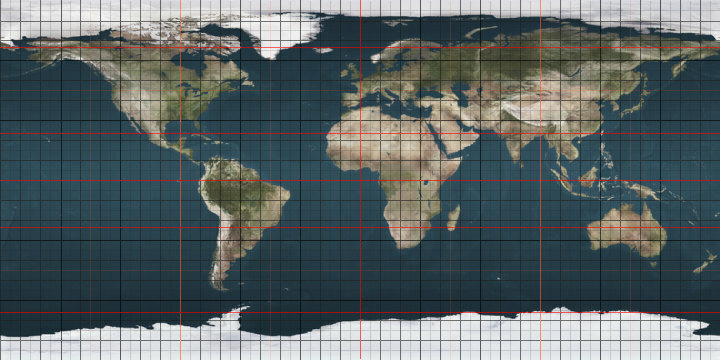 The 41st parallel north is a circle of latitude that is 41 degrees north of the Earth's equatorial plane. It crosses Europe, the Mediterranean Sea, Asia, the Pacific Ocean, North America, and the Atlantic Ocean. At this latitude the sun is visible for 15 hours, 8 minutes during the summer solstice and 9 hours, 13 minutes during the winter solstice. The 41st parallel north defining borders between states in the United States. In the United States, the parallel defines the southernmost border of Wyoming (bordering Utah and Colorado), and part of the border between Nebraska and Colorado. In 1606, King James I of England created the Colony of Virginia. He gave the London Company the right to "begin theire plantacions and habitacions in some fitt and conveniente place between fower and thirtie and one and fortie degrees of the said latitude all alongest the coaste of Virginia and coastes of America." [sic] The Jamestown Settlement was established roughly at the midpoint of that territory. The later Pilgrim (Plymouth Colony) settlers were originally bound for the northern portion of the Virginia territory. Instead, they landed north of the 41st parallel on Cape Cod, where they had exclusive rights to the land under the charter for the Plymouth Colony. As originally set by King Charles II of England in 1664, the point at which the 41st parallel crosses the Hudson River marks the northeastern border between New Jersey and New York. This border then proceeds northwest to the Tri-States Monument at the confluence of the Delaware and Neversink rivers. The 41st parallel was also one of the principal baselines used for surveying a portion of lands in Ohio. This marked the southern boundary of the Connecticut Western Reserve and the Firelands using the western boundary with Pennsylvania as the principal meridian. It also served as the baseline for a later survey of Ohio land north of the Greenville Treaty line up to the Fulton line which was the original boundary between Michigan and Ohio under the Northwest Ordinance (see the Toledo Strip). The later survey used the boundary with Indiana as the meridian. This page was last edited on 15 March 2019, at 16:27 (UTC).